Out of stock since Monday, 26 November 2018. Due back Wednesday, 24 April 2019. Out of stock since Wednesday, 15 August 2018. Due back Wednesday, 24 April 2019. 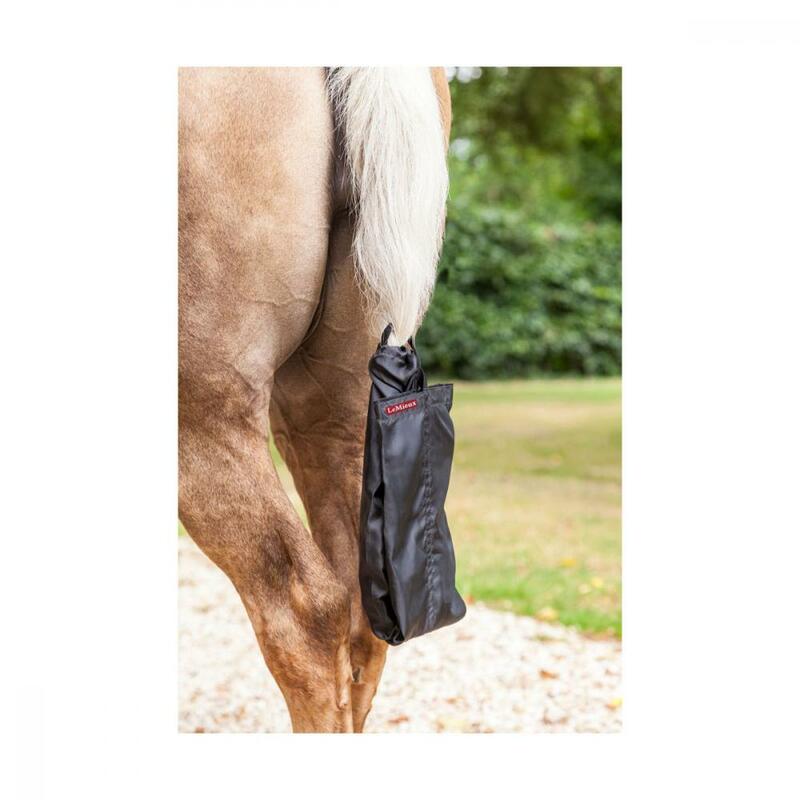 •Waterproof bag keeps tail clean and tidy. •Draw string closure secures bag in position. •Velcro strap fastens through plaited tail. •Bottom Velcro closure for easy access. •Folding design maintains neat tail. There are currently no questions for LeMieux Tail Tidy Bag - be the first to ask one!